Work on the proposed Ghana Commodity Exchange, designed to provide ready market for grains and cereal producers, has resumed after two years idling on the shelf. The Ghana Commodity Exchange (GCX), which will operate on a Warehouse Receipt System modeled after a similar one in Ethiopia, was expected to take off by December 2012 but could not materialize due to factors which included a change in leadership at the trade ministry. The initiative is, however, set to be resuscitated and the deputy minister has been charged to lead the pack of individuals to make the dream come alive. 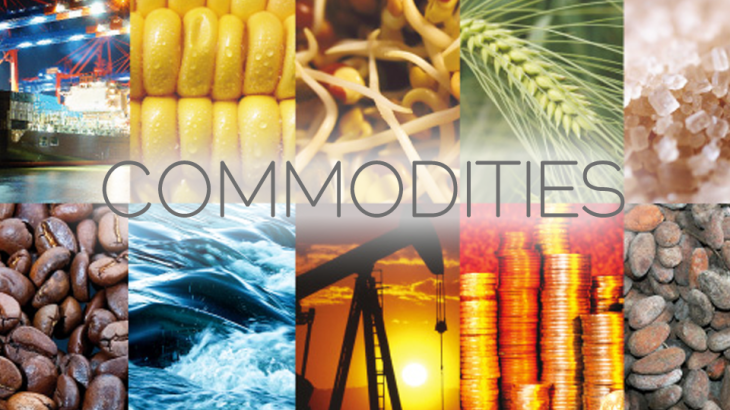 A commodity exchange is an arrangement where various commodities and derivative products on commodities are traded. It is similar to an equity market, but instead of buying or selling shares, one buys or sells commodities. 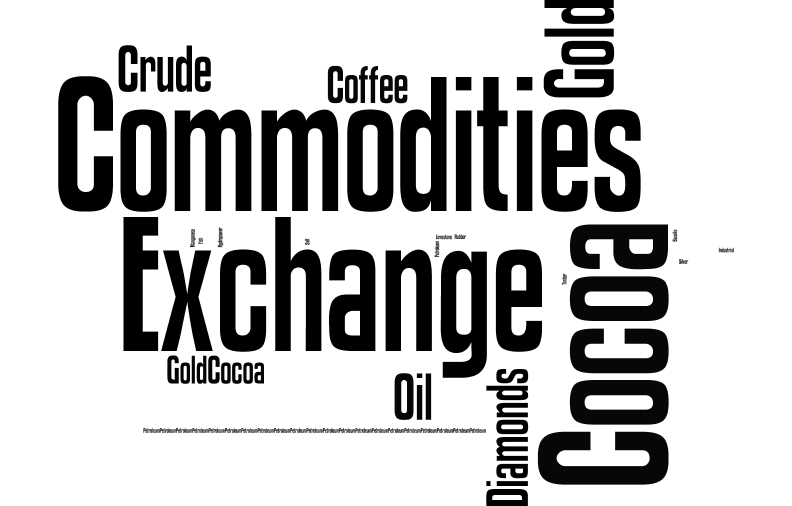 Commodity exchange is one of the oldest prevailing markets in human history. The Warehouse Receipt System receives grains and stores them after categorizing them by quality, weight, and delivery location and assigning weight to them. Warehouse receipts issued at the warehouse operated through the exchange are stored in a central depository where title transfers are done. Ghana’s commodity exchange, among other things, is expected to end the cycle of poverty among Ghanaian farmers, especially smallholder farmers due to post harvest losses. It has been identified as having a huge potential to improve the functioning of agriculture by enhancing price transparency, leading to increased farm output and incomes. According to the Ministry of Trade and Industry, the GCX will promote agricultural investment, enhance productivity, encourage market access and fair returns for smallholder farmers, and facilitate the formalization of informal agricultural trading activities. It is expected that the establishment of the Ghana Commodity Exchange will engage broad participation by small-scale producers, commercial growers, domestic traders, ago-processing industries, commodity exporters, the national buffer stock administration, food aid agencies and other institutional buyers. “Moreover, key stakeholders in the exchange include; commercial banks engaged in settlement as well as warehouse receipt financing, quality certifiers, collateral managers, transport and logistics service providers, insurance providers, telecom operators, audit and accounting professionals, among others,” the Ministry said in it’s project brief. From the orange juice we drink to the gas we use to power our vehicles and heat our homes, commodities play important roles in our daily lives. They can be found literally all over the world, and can be traded on the global marketplace as part of a diversified investment portfolio. In fact, billions of dollars are invested in commodities every day. While they can be traded on either spot (real-time) or futures (options) markets, most individual commodities are traded in the form of futures, where what is being traded is not the commodity itself but rather a contract to buy or sell it for a certain price by a stated date in the future. This carries the potential for wild market fluctuations, but it also offers exciting opportunities for investors willing to ride out market volatility in anticipation of rewards. Like any investment, the goal in commodities trading is to buy low and sell high. The difference with commodities is that they are highly leveraged and trade in contract sizes instead of shares. What’s more, investors can buy and sell positions whenever the markets are open, so there’s no chance of waking up one morning to find 10,000 bushels of corn on the front lawn. (Commodities can make investing in gold, oil or grain an easier prospect. Agriculture accounts for 22.7% of Ghana’s fast-growing $73 billion GDP and employs 41.5% of the 29m population. The GCX will start with spot and futures trading of agricultural commodities, including maize, soybeans, paddy rice, palm oil and groundnuts. Once these and the related deliveries of actual crops are settled, the GCX aims to introduce other key agricultural and non-agricultural commodities and to position itself as a future regional trading platform. Robert Dowuona Owoo, former head of policy, research and IT at Ghana’s Securities and Exchange Commission, is the GCX Project Coordinator. The SEC had commissioned a feasibility study on a commodity exchange in 2010 and set up a technical committee. Commodities offer portfolio diversification. Investing in futures contracts or actual commodities provides a portfolio component that is not a traditional stock, bond, or a mutual fund that invests in stocks and/or bonds. Historically, commodities have had a low correlation to traditional equity markets, meaning that they do not always fluctuate in tandem with market movements. For many investors, achieving this low correlation is the primary objective when seeking to add diversification to a portfolio. Improved food security: Evidence gathered by the Food and Agriculture Organization (FAO) suggests that global food shortages are likely to reoccur in the near future caused by population expansion, poorer growing conditions, diseases in other food crops (such as brown streak virus in cassava) and a growing market for bio-fuels. Hence with new warehouses and storage facilities coming online, Ghana should be able to package, grade and store more of its farm produce for use during the off-season. Thereby helping to improve the nations overall food security. Reduced farm/produce loses: due to the fact that many of the roads in Africa are very bad, and most farmers are also dispersed throughout the remote corners of the country; another problem that the modern warehouses will solve is the issue of loss of farm produce in the post harvest season. Increased revenues for farmers: being that most farmers will be loosing less produce due to better storage facilities, it means that they will be able to consequently monetize a lot more of their output thereby increasing their revenues and incomes. Improved resource allocation: Farmers will be loosing less of their farm produce due to better storage facilities and hence, will be able to reallocate the resources to other more critical needs, such as fertilizers, or even improving their own lifestyles. Improved agricultural financing: Banks can provide loans to farmers using warehouse receipts as collateral. A facility that mot farmer in Ghana currently lack. Reduced costs: smallholder farmers usually have to travel long distances to either transport their produce or purchase farm inputs such as equipment and fertilizers. Hence with the more streamlined produce transportation facilities that warehouse and transportation service providers will be offering, a lot of these costs can be eliminated or mitigated. Improved market information services/produce price discovery: accurate market information is very hard to come by in Africa. It is very difficult for traders to figure out where to get the best value for their money and for farmers to figure out who can offer them the best deal for their produce. Hence the commodities trading and auctioning platform will provide farmers with a much better facility in this regard. Improved overall standard of living for farmers: since farmers will be able to potentially increase their incomes while minimizing losses of the farm produce, it is safe to expect an improvement in the average standard of living for farmers. Increased economic prosperity for the country: increased food output from farms means more taxable product for the government. Decreased youth unemployment: the commercialization of the sector will subsequently require low skill workers to perform the packing, sorting and grading of the produce. Improved farming practices and knowledge transfer: consolidation in this sector will allow for improved farming extension services to farmers. Increased sectorial investment: improved commercialization of the agricultural sector usually comes with increased investment from the financial sector as well since banks have a more accurate information on farm projections, yields and surpluses and they will be subsequently more will to extend loans to farmers to help them expand and purchase better technologies. Improved produce marketing: the commodity warehouse receipt database will allow for improved marketing of farm produce, since the produce will be properly graded, organized, packed and international standards of quality control enforced. Improved agricultural value chain: the nature of commodities exchanges and commercialization ensures the higher levels of professionalization are enforced in the sector. Which means actors have to specialize in niches that they are best suited for. And hence the eventual streamlining of the agricultural value chain. Improved Farmer rights and income security: because large farm produce will be purchased on contracts, farmers will be able to seek redress in the courts in case traders default on their purchases. Currently this is not a very feasible option for farmers since all transactions are all done informally. Better prices for farmers: Exporters and some retailers will pay more for a standard quality of goods, which have been properly sorted, graded, weighed and packed. Has an appropriately detailed work breakdown structure (WBS) been created with input from key team members? Warehouse receipt system should be able to accommodate the wide range of commodities that are considered important in the agricultural economy of the country. Organizing farmers into marketing groups, increasing access to inputs, finance and extension services, supporting research and technology services, market information services establishment and or refurbishment of fixed place market places, improved transport and land reform.. The net worth of a commodity account as determined by combining the ledger balance with any unrealized gain or loss in open positions as marked to the market. In the metals markets, the nearest base contract month that is not the current delivery month. The base months for each metals futures are defined by each individual contract. For other contracts this may designate the closest month to expiration or the expiration month that has the most trading volume. Grade and quality specifications for petroleum products and metals are determined by the ASTM in test methods. An order type, if the order can execute in total, then it executes. Otherwise it stays in the order book until it can execute in total. The scale created by the American Petroleum Institute to indicate the ‘lightness’ or ‘heaviness’ of crude oils and other liquid hydrocarbons. Calibrated in API degrees (or degrees API), it is used to expresses the relative density of oil. The scale is an inverse measure— the lighter the crude the higher the API gravity, and vice versa. The higher the API degree, the higher the market value of the hydrocarbon being measured. Oil with API greater than 30º is termed light; between 22º and 30º, medium; below 22º, heavy; and below 10º, extra heavy. Application service provider (ASP); a company that offers individuals and firms access via the Internet to applications and related services that would otherwise have to be located in their personal computers. A person, commonly called a commodity broker, associated with and soliciting customers and orders for a futures commission merchant or introducing broker. The AP must pass a Series 3 examination, be licensed by the Commodity Futures Trading Commission and be a member of the National Futures Association. A graph of prices, volume and open interest for a specified time period used by the chartist to forecast market trends. For example, a daily bar chart plots each trading session’s open, high, low and settlement prices. In reference to a Natural Gas measure of capacity or supply, a billion cubic feet. The Board of Directors of the exchange, or any other body acting in lieu of and with the authority of the Board. The By-Laws of the Exchange, unless otherwise specified. A combination of buy and/or sell orders for the same account, except as provided by Rule 527, at the market, at a fixed differential or by some other appropriate pricing convention. Also referred to as a spread order. A trade to close out a deep out-of-the-money option contract position at price less than the minimum trading tick. Variable cabinet prices are eligible for trading on the floor; a fixed cabinet price of one-half the minimum trading tick is eligible to trade on CME Globex. The Board of Trade of the City of Chicago, Inc. The Certificate of Incorporation of the Exchange, unless otherwise specified. The U.S. Commodity Futures Trading Commission as created by the Commodity Futures Trading Commission Act of 1974. The Chairman of the Board of Directors, or one acting in lieu of and with the authority of the Chairman of the Board. The day-over-day change in open interest. Acronym for the CHICAGO MERCANTILE EXCHANGE INC. On July 9, 2007, Chicago Mercantile Exchange Holdings Inc. and Chicago Board of Trade Holdings, Inc. completed the merger of their companies, creating the world’s largest and most diverse exchange now known as CME Group A CME/Chicago Board of Trade Company. The Chief Executive Officer of the Exchange or one duly authorized to act in lieu of and with the authority of the Chief Executive Officer. A share of Class A Common Stock of CME Group Inc. Class A Shares shall confer no trading rights. The procedure through which CME Clearing House becomes the buyer to each seller of a futures contract, and the seller to each buyer, and assumes responsibility for protecting buyers and sellers from financial loss by ensuring buyer and seller performance on each contract. This is effected through the clearing process, in which transactions are matched, confirming that both the buyer’s and the seller’s trade information are in agreement. A firm approved to clear trades through CME Clearing House. Memberships in clearing organizations are usually held by companies. Clearing members are responsible for the financial commitments of customers that clear through their firm. The CME Clearing House, also referred to as CME Clearing, a division of CME. (Privately Negotiated Trades): ClearPort is CME Group’s clearing service for Over-The-Counter markets. PNT is an acronym for Privately Negotiated Trades, which may be reported through ClearPort or directly into CME Clearing. The number in this column represents the total number of Ex-Pit transactions, or transactions that were completed outside of Globex or Open Outcry trading venues. A member’s bona fide employee who has been registered by the exchange to work on the trading floor. The division of the exchange through which trades are cleared, settled, and guaranteed. A flexible clearing service open to all OTC market participants, that eliminates third-party credit risk and provides capital efficiencies across a wide range of asset classes. CME ClearPort is not an execution platform or mandate or a set of products. It is no longer limited to energy clearing services as in the past nor is it limited to clearing services where OTC positions are substituted into futures. The Chicago Mercantile Exchange Division of the exchange. Holders of the membership interest associated with Chicago Mercantile Exchange Holdings Inc. Class B-1 Stock, who have been elected to membership, are members of the CME Division. CME Globex allows orders to be placed for various different durations. An order entered into the CME Globex system that does not contain an order duration qualifier will be canceled if it is not filled during the trading day in which it was received or, if it was received between trading days, during the next trading day. Current order durations qualifiers are: Day/Session, Good â€™Till Canceled (GTC), Good â€™Till Date (GTD), Fill or Kill (FOK) and Fill and Kill (FAK). The CME Globex platform supports a broad array of order functionality, offering convenience and flexibility to meet a variety of individual trading needs. The availability of specific order types varies based on the markets, products and trading applications. An identifier assigned to access the CME Globex electronic trading engine. A combined entity formed by the 2007 merger of the Chicago Mercantile Exchange (CME) and the Chicago Board of Trade (CBOT). We provide the widest range of benchmark futures and options products available on any exchange, covering all major asset classes. Any product approved and designated by the Board for trading or clearing pursuant to the rules of the Exchange. Acronym for the Commodity Futures Trading Commission as created by the Commodity Futures Trading Commission Act of 1974. This government agency regulates the nation’s commodity futures industry. Depending on the context in which it is used, a term of reference describing either a unit of trading in a particular futures, options or cleared product or a product approved and designated by the Board for trading or clearing pursuant to the rules of the Exchange. A specific spread trade involving simultaneously buying and selling contracts in crude oil and one or more derivative products, typically gasoline and heating oil. Oil refineries may trade a crack spread to hedge the price risk of their operations, while speculators attempt to profit from a change in the oil/gasoline price differential. A contract between two parties specifying a payment in the event of a default of the underlying debt issue. Typically these two party agreements (buyer and seller) are created and traded in an unregulated (Over-The-Counter or OTC) environment. These are derivative contracts in that the pricing of a CDS is tied to the current market perception of the credit worthiness of the debt issuer. A CDS can be constructed on the debt issues of almost any corporation, municipality, bank, government and government agency that are rated for credit worthiness. A CDS buyer pays a premium to the seller and would receive payment from the seller if the underlying credit issue defaults or there is a change in the rating status per the terms of the individual CDS. If there is no default or rating change in the underlying debt, the seller keeps the premium. A credit default swap (CDS) is the most highly utilized type of credit derivative. Most debt holders want to keep the loan in place so they can continue to receive the regular interest and principal payments; but since bond holders are typically very risk averse investors, they are willing to pay a premium to be sure they continue to get paid even if the borrower has a hard time making the payments. CDS contracts are perfect for this, since they are designed to transfer a given risk from one party to another without transferring the underlying bond or other credit asset. It is important to note, however, that a CDS is not insurance. Since a CDS is not insurance, sellers of CDS’s are not subject to the reserve requirements nor the government regulations required by insurance companies to ensure there is enough money to pay off in the case of default. Offsetting match or trade by a broker of the buy order of one customer against the sell order of another, or a match of a trade made by a broker with his customer, a practice that is permissible only when executed in accordance with the Commodity Exchange Act, Commodity Futures Trading Commission regulations, and rules of the contract market. Neither NYMEX Division nor COMEX Division members are permitted to take the opposite side of a customer’s order, except, under certain circumstances, for trades involving long-dated (nine months or more forward) COMEX Division copper futures. Please consult CME Group rule books for additional information. The sum of the daily Heating Degree Day (HDD) or Cooling Degree Day (CDD) values over a specified period, usually a month or a season. This value would also be the number recorded in that month’s or season’s HDD or CDD Index value. The potential for a shift in exchange rates, which would be detrimental to a trader’s position. A designation that refers to segregated clearing member firm trading activity. Customer trading activity and funds may not be combined with non-segregated house activity within a clearing member firm. 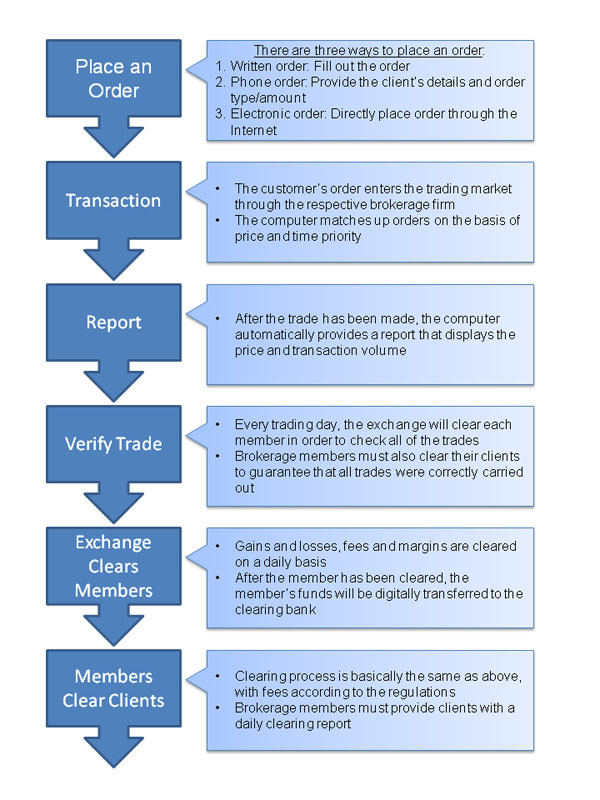 Customer Type Indicator (as it pertains to electronic trading systems): A clearing indicator, required at the time of order entry, which indicates for whom the order is being entered: CTI 1 = Applies to orders entered by a workstation user for his/her own account or an account in which he/she has financial interest. CTI 2 = Applies to orders entered for the proprietary account of the clearing firm. CTI 3 = Applies to orders entered by a member, an ETH permit holder, or by an employee of a member or ETH permit holder, for the account of another member or ETH permit holder (Rule 574.B.) CTI 4 = Applies to all other orders that do not fit the above three categories. The quantity of a commodity that buyers are willing to purchase in the market at a given price. Any offense as set forth in Rule 300.E. A notice issued by the exchange requiring firms, brokers, and out trade clerks to be available at a specified time on the Trading Floor to resolve out trades in a particular commodity. Fines are issued against those firms who fail to comply. Any type of voice or data communications interface, including but not limited to a computer, headset, trading device, microphone, telephone or camera. The trading session during which the CME Globex system is used. Contact the CME Globex Control Center (GCC) for the current schedule of trading hours. CME EOS trader is a web-based front-end system that offers access to advanced options trading functionality on the CME Globex platform in all product groups. CME EOS Trader makes trading CME Options electronically easier than ever. Connect over the internet. Enjoy direct access through CME Globex, virtually 24 hours a day. Get unsurpassed liquidity and transparency. And take advantage of enhanced functionality not available on the legacy CITRIX System. An Exchange-for-Physical (EFP) trade transacted in the context of interest rate contracts (see definition of Exchange-for-Physical). A privately negotiated and simultaneous exchange of an Exchange futures position for a corresponding cash position. An EFP is one type of an authorized Exchange for Related Position (EFRP) trade governed by Rule 538. A privately negotiated and simultaneous exchange of an Exchange futures position for a corresponding OTC swap or other OTC instrument. An EFR is one type of an authorized Exchange for Related Position (EFRP) trade governed by Rule 538. An employee or member designated by the Exchange to perform or execute certain acts. The term “firm” shall mean a corporation, partnership, association, sole proprietorship or other eligible entity. A three digit numeric code used in CME’s Clearing System to identify a clearing firm. FirmSoft is a browser-based order management tool that provides real-time visibility into working and filled orders, across multiple firm IDs, in the CME Globex® order management database. FirmSoft provides important alternative access to working and filled orders during system failures. The client application’s logon ID for the CME FIX servers. The server authenticates this ID during the logon process. Only the assigned user ID may be used to logon to the CME FIX server. Examples: 00100A, 80502B. Assignee: support and QA team. Market slang to indicate that all open positions have been offset and an account has no exposure to market risk. The three common ways to describe a traderâ€™s position in the market are long, short or flat. The following, or subsequent, business day. A legally binding agreement to buy or sell a commodity or financial instrument at a later date pursuant to the Rules of the Exchange. A board of trade designated by the Commodity Futures Trading Commission to trade futures or option contracts on a particular commodity. Commonly used to mean any exchange on which futures are traded. CME Group including all its divisions. ACS (Allocation Claim System) is the CME’s electronic give-up system. ACS allows executing firms to give-up (allocate) trades at the execution price to the designated carrying firms(s), utilizing their current trade entry systems and CME’s Trade Management System. ACS may be utilized for trades executed and given up to a single firm, as well as trades given up to multiple firms. Those hours designated by the Board of Directors for trading particular contracts on GLOBEX. An identifier assigned to access the GLOBEX electronic trading engine. Standards set for the quality of a commodity. (1) Taking a position in a futures market opposite to a position held in the cash market to minimize the risk of financial loss from an adverse price change; (2) A purchase or sale of futures as a temporary substitute for a cash transaction which will occur later. See long hedge and short hedge. Any day declared to be a holiday by these rules or by a resolution of the Board on which the Exchange is closed. When any such holiday falls on Sunday, the following Monday shall be considered such holiday. When any such holiday falls on Saturday, the immediately preceding Friday shall be considered such holiday. An interface to the CME Globex electronic trading platform. A vendor who makes and sells software products that run on one or more computer hardware or operating system platforms. At CME, ISVs provide front-end applications certified by CME for trading on the CME Globex platform. CME Clearing program developed to support the acceptance of money market mutual fund shares at CME to be used as performance bond collateral and to satisfy Guaranty Fund requirements. CME Clearing collateral program designed to allow clearing firms to satisfy core, reserve and concentration performance bond requirements with a wide range of collateral, consistent with CFTC Regulation 1.25. CME Clearing program in which clearing members can earn a monthly hard dollar benefit by depositing US dollar cash in a CME bank account at a select financial institution. Clearing members can satisfy a portion of their core and all of their reserve and concentration requirements by directing cash deposits into CME’s account. The investigative and hearing committees of the Exchange are the Business Conduct Committee, the Clearing House Risk Committee, the Floor Conduct Committee, the Probable Cause Committee, Hearing Panels of the Board of Directors and such other committees created for this purpose by the Board. A condition that describes the ability to execute orders of any size quickly and efficiently without a substantial affect on the price. Institutional investors are inclined to seek out liquid investments so that their trading activity will not influence the market price. An arrangement by which the owner of the account gives written power of attorney to someone else, usually the broker or a commodity trading advisor, to buy and sell without prior approval of the account owner. Often referred to as a discretionary Account. Market Data Application Programming Interface, to be used in conjunction with CME’s order entry APIs. Employs TIBCO technology. CME developed the Market Data API,which allows firms to receive real-time market data from the electronic markets, and at a later date, also from the open outcry markets. An order that automatically becomes a market order if the price is reached. An MIT order to buy becomes a limit order if and when the instrument trades at a specific or lower trigger price; an MIT order to sell becomes a limit order if and when the instrument trades at a specified or higher trigger price. On CME Globex, this order type is only available via CME Globex Trader, which is scheduled to be decommissioned by the end of 2007. An organized venue, apart from CME, for the trade of securities, commodities or derivative instruments including, but not limited to, futures, options, options on futures or Security Futures Products. The current value of all commodities held in a performance bond account. The trading right associated with a Class B Share in any of the following classes: Class B-1 (CME Membership), Class B-2 (IMM Membership), Class B-3 (IOM Membership) and Class B-4 (GEM Membership). A membership or membership interest may only be purchased or sold with its associated Class B Share. The amount of money in the economy, consisting primarily of currency in circulation plus deposits in banks: M-1 U.S. money supply consisting of currency held by the public, traveler’s checks, checking account funds, NOW and super- NOW accounts, automatic transfer service accounts, and balances in credit unions. M-2 U.S. money supply consisting M-1 plus savings and small time deposits (less than $100,000) at depository institutions, overnight repurchase agreements at commercial banks, and money market mutual fund accounts. M-3 U.S. money supply consisting of M-2 plus large time deposits ($100,000 or more) at depository institutions, repurchase agreements with maturities longer than one day at commercial banks, and institutional money market accounts. In 1984 the CME and the Singapore Exchange (SGX) established a mutual offset agreement, which resulted in the implementation of the Mutual Offset System (MOS. In accordance with this agreement, trades executed on one exchange can be transferred to the books of a firm on the other exchange. Currently only Eurodollar, Euroyen, Euroyen LIBOR and Nikkei Yen futures are eligible contracts for MOS. Refers to a futures contract based upon a Security Index that is considered narrow-based as defined in Section 1a(25) of the Commodity Exchange Act. The difference between the long contracts and the short contracts held in any one commodity. A clearing member of the exchange that is not required to register with the CFTC as a futures commission merchant because it handles no U.S. customer business. Except as otherwise specifically provided, a notice in writing emailed to or personally served upon the person to be notified, left at his usual place of business during business hours or mailed by U.S. First Class Mail, Certified Mail, Registered Mail or by overnight delivery to his last known place of business or residence. An order qualifer that consists of two linked orders, typically (but not always) a Limit order and a Stop order, that both work until one order is filled, at which time the other order is canceled. Absent any restrictions, a “DRT” (Not-Held Order) means any order giving a person complete discretion over price and time in execution of the order, including discretion to execute all, some, or none of the order. A member or clearing member shall not accept an order containing the phrase “with a tick, you are held” (or similar such language). It is understood that a floor broker may trade for his own account while holding such an order without violating Rule 530 (“Priority of Customers’ Orders”) provided the customer has previously consented in writing and evidence of such general consent is indicated on the order with the “WP” (with permission) designation. An instruction to the clearing firm to enter a stop order after execution of a previous order has been achieved. An order with instructions to be executed at a specific price (“limit price”) or better. An order which becomes a market order when the price designated on the order (the “Stop Price”) is elected as described below. A “Buy Stop” order is placed above the market, and is elected only when the market trades at or above, or is bid at or above, the Stop Price. A “Sell Stop” order is placed below the market, and is elected only when the market trades at or below, or is offered at or below, the Stop Price. An order to be executed at a specific price (“limit price”) or better. The type of account (house, customer, or customer non-segregated) for which a trade was executed. Also see segregation type. A subcommittee selected in accordance with committee procedure to adjudicate or make a particular determination. A decision of a panel shall be deemed a decision of the committee. An individual appointed to an Exchange committee who is entitled to participate in a decision on any matter under consideration by the committee or panel thereof. An exchange or clearing house that has entered into a business relationship with the Exchange for clearing, order routing or any other business purpose. The term “Partner Clearinghouse” means a derivatives clearing organization or a clearinghouse which has agreed to act in concert with the Exchange to facilitate clearance of Security Futures Products as defined herein. A Partner Clearinghouse shall be considered a Clearing Member for purposes of the Rules except to the extent otherwise provided in an agreement between the Exchange and the Partner Clearinghouse. The minimum amount of funds that must be deposited as a performance bond by a customer with his broker, by a broker with a clearing member or by a clearing member with the Clearing House. The minimum dollar deposit required by CME Clearing from its clearing members in accordance with their positions. This is one of the financial safeguards that help to ensure that clearing members (usually companies or corporations) perform on their customers’ open futures and options contracts. It shall include the singular or plural, and individuals, associations, partnerships, corporations and trusts. An individual simultaneously buys and sells the same amount of the same currency with the same counterparty, with the two legs of the transaction maturing on different dates and trading at different exchange rates. The president of the Exchange, or one duly authorized to act in lieu of and with the authority of the President. The President of the Clearing House, or one duly authorized to act in lieu of and with the authority of the President of the Clearing House. An act carried out by a seller who has tendered a live cattle delivery certificate that the assigned buyer has retendered. A seller will do this to collect the retender fee. To reclaim, the original seller establishes a long position in the pit and submits a reclaim notice. If no one demands the certificate of delivery, the seller takes assignment of his own retendered certificate and collects the accrued retender fee, thus eliminating the delivery obligation. For a contract’s CME Globex trading hours on a given calendar day beginning after that contract’s RTH session on that calendar day and ending no later than 4:00 p.m., Chicago time, on that same calendar day, the Reference Regular Trading Hours (RTH) Session is that contract’s second-previous RTH session. For a contract’s CME Globex trading hours beginning at or after 4:00 p.m., Chicago time, and ending no later than the start of that contract’s next RTH session, the Reference Regular Trading Hours (RTH) Session is that contract’s previous RTH session. (1)The possibility of loss. (2) The dollar difference between the current price and the price at which the liquidation of open positions would occur. (3) The portion of the performance bond requirement associated with the likely worst case change in value from one day to the next. The Certificate of Incorporation, By-Laws, rules, interpretations, orders, resolutions, advisories, notices, manuals and similar directives of the Exchange, and all amendments thereto. The trading and clearing of all Exchange futures, options on futures, cleared-only and spot contracts shall be subject to the rules. A Seek Limit order has a price limit automatically assigned (up to the fifth best price level) to the order when sent and seeks to fill the entire quantity. Available only on CME Globex Trader. OneChicago, LLC is a joint venture created by Chicago Mercantile Exchange® (CME), Chicago Board of Options Exchange® (CBOE), and Chicago Board of Trade® (CBOT), to trade single stock futures (SSF) and narrow-based stock indexes. The Standard Portfolio Analysis of Risk (SPAN) Performance Bond System). A program that determines portfolio performance bond requirements for futures, options, cash, and other instruments. SPAN is a portfolio based approach to risk management and performance bond calculations. CME Clearing uses SPAN to calculate overnight margin for it’s clearing firms and clearing firms use SPAN to margin their customers. 1) Contract terms specified by the Exchange. 2) Term referring to the properties of a given crude oil or refined petroleum product, which are “specified” since they often vary widely even within the same grade of product. In the normal process of negotiation, seller will guarantee buyer that the product or crude to be sold will meet certain specified limits. Generally, the major properties of oil that are guaranteed are API gravity, sulfur, pour point, viscosity, and BS&W. A resting Stop Limit order is triggered when the designated price is traded on the market. The order then enters the order book as a Limit order with the customer’s specified limit price. The order is executed at all price levels between the trigger price and the limit price. If the order is not fully executed, the remaining quantity of the order remains in the market. A buy Stop Limit order must have a trigger price greater than the last traded price for the instrument. A sell Stop Limit order must have a trigger price lower than the last traded price. Simultaneous purchase and sale of currencies or interest rate products in spot and forward market transactions. With the FIX protocol, a delimited message component that contains a particular purpose-not just start or stop. Example: Tag 50 in a message indicates the real trader’s ID, not just the company he or she works for. Trade at Settlement. A TAS is an order type that specifies the day’s settlement price as the order price. This column represents the number of TAS transactions for the given date. The minimum fluctuation in price allowed for a futures or options contract during a trading session as specified by the contract terms in CME Rulebook. Except as otherwise specifically provided, any reference to time shall mean local Chicago time. Data that provides price and time information of every transaction throughout the day. Part of the order-routing process in which the time of day is stamped on an order. An order is time-stamped when it is (1) received on the trading floor, and (2) completed (3) returned to the customer. Total Return Asset ContractsSM (TRAKRS) are designed to enable customers to track an index of stocks, bonds, currencies or other financial instruments. TRAKRS are futures contracts based on an index that is calculated on a total return basis. Declared dividends and other distributions are included in the calculation of the index. The term “trade” shall mean any purchase or sale of any commodity futures or options contract made on the Exchange. The date on which a trade was executed. The price at which a trade was executed on the original trade date. (1) A person who takes positions in the futures market, usually without the intention of making or taking delivery; (2) A member of the exchange who buys and sells futures and options through the floor of the exchange. See “day trader”, “floor broker”, “position trader,” and “scalper”. A trading day shall mean the hours of trading as determined by the board for each contract starting with the opening of trading and ending with the close of trading for such contract. A trading session will mean either the pit trading session (the hours designated for open outcry trading for a product) and/or the Globex session (the hours on a particular trading day when a product can be traded on Globex). An individual or organization that solicits or accepts orders to buy or sell futures contracts or options on futures and accepts money or other assets from customers to support such orders. Also referred to as “commission house” or Futures Commission Merchant (FCM).